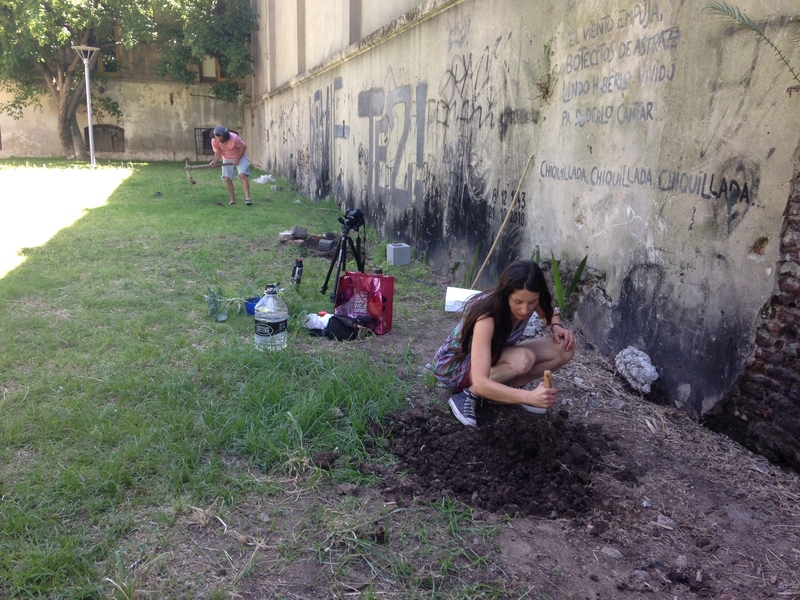 Ya está en marcha el huerto comunitario en el jardín del EAC. 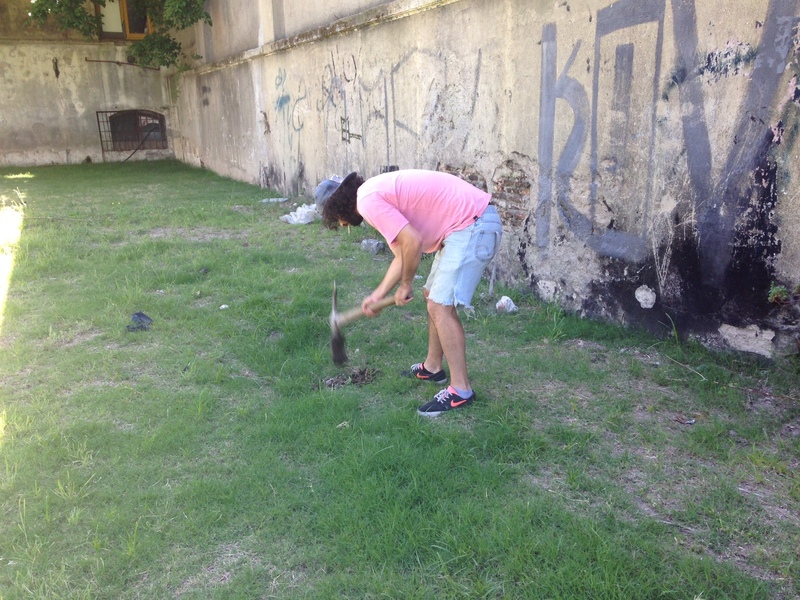 Aquí Santiago y una compañera de la Huertas Comunitarias de Montevideo (http://caminoverde.com.uy/huertas-comunitarias-montevideo/) trabajando la tierra. Plantarán maíz, zapallos, tomates y col.
Everything is very open with a precise clarification of the challenges. It was really informative. Your site is very useful. Thank you for sharing! whoah this blog is great i love reading your articles. Stay up the great work! You recognize, lots of persons are looking around for this info, you can help them greatly. hair bundles https://www.youtube.com/watch?v=koiFnDsfNPU are so wonderful and lovable!!! I convey them for complete softness and comfort and ease!! Thanks for some other wonderful post. The place else may just anybody get that kind of information in such a perfect means of writing? I have a presentation next week, and I am on the search for such info. Thanks , I’ve recently been looking for information about this topic for ages and yours is the best I have discovered till now. But, what concerning the bottom line? Are you sure in regards to the supply? hello!,I really like your writing very much! proportion we keep in touch extra about your post on AOL? I require an expert in this house to solve my problem. May be that is you! Looking forward to look you. Greetings! Very useful advice in this particular post! It’s the little changes which will make the biggest changes. Many thanks for sharing! Hey there! I’m at work surfing around your blog from my new iphone! Just wanted to say I love reading through your blog and look forward to all your posts! Carry on the excellent work! Greetings I am so delighted I found your site, I really found you by mistake, while I was looking on Askjeeve for something else, Anyways I am here now and would just like to say cheers for a incredible post and a all round enjoyable blog (I also love the theme/design), I don’t have time to read it all at the minute but I have bookmarked it and also included your RSS feeds, so when I have time I will be back to read a great deal more, Please do keep up the great work. Hi to all, it’s truly a nice for me to pay a quick visit this web site, it contains important Information. I’m really impressed with your writing skills as well as with the layout on your weblog. Is this a paid theme or did you customize it yourself? Either way keep up the nice quality writing, it’s rare to see a nice blog like this one these days. A person essentially lend a hand to make severely posts I might state. This is the first time I frequented your website page and so far? I amazed with the analysis you made to create this actual publish incredible. Excellent job! Woah! I’m really enjoying the template/theme of this blog. It’s simple, yet effective. A lot of times it’s hard to get that “perfect balance” between usability and appearance. I must say that you’ve done a excellent job with this. In addition, the blog loads super fast for me on Firefox. Excellent Blog! Hello, Neat post. There is an issue together with your web site in internet explorer, could test this? IE still is the marketplace chief and a large component of folks will miss your excellent writing due to this problem. Hey very nice website!! Man .. Excellent .. Wonderful .. I will bookmark your website and take the feeds additionally? I’m glad to find a lot of useful info right here in the put up, we’d like work out more strategies on this regard, thank you for sharing. . . . . .
Hi, Neat post. There is a problem together with your site in internet explorer, could check this? IE nonetheless is the marketplace leader and a good part of other folks will omit your fantastic writing due to this problem. Hello, i read your blog from time to time and i own a similar one and i was just wondering if you get a lot of spam comments? If so how do you stop it, any plugin or anything you can recommend? I get so much lately it’s driving me mad so any assistance is very much appreciated. as this this web page conations in fact fastidious funny data too. Thanks for some other great post. The place else could anyone get that kind of info in such an ideal means of writing? of to stay it wise. I can’t wait to learn far more from you. at web, except I know I am getting experience everyday by reading thes fastidious posts. My coder is trying to convince me to move to .net from PHP. I have always disliked the idea because of the expenses. But he’s tryiong none the less. I’ve been using WordPress on various websites for about a year and am concerned about switching to another platform. I have heard good things about blogengine.net. Is there a way I can import all my wordpress content into it? Any help would be greatly appreciated! Hi there, I discovered your website by means of Google while searching for a related matter, your web site got here up, it seems great. I have bookmarked it in my google bookmarks. Link exchange is nothing else however it is just placing the other person’s weblog link on your page at appropriate place and other person will also do similar in support of you.